from 12:55 pm to 1:50 pm. Prof. Robert White will give an introductory lecture on the life, poetry and letters of John Keats, based on John Keats, A Literary Life (Palgrave Macmillan 2012), his acclaimed biography of the poet. This informal talk is focused primarily on “The Eve of Saint Agnes,” “Ode to a Grecian Urn,” “Ode to a Nightingale,” and “Autumn.” It also explores some of Keats’ letters, discussing how they reveal the romantic poet’s creative process. The talk is intended to provide some basic information about the Romantic poet John Keats, and will aim to enhance the audience’s appreciation of his works. For more details, feel free to call/text Ms. Bhawna Khera at 08376953641 or email to conf.eng.bc@gmail.com. 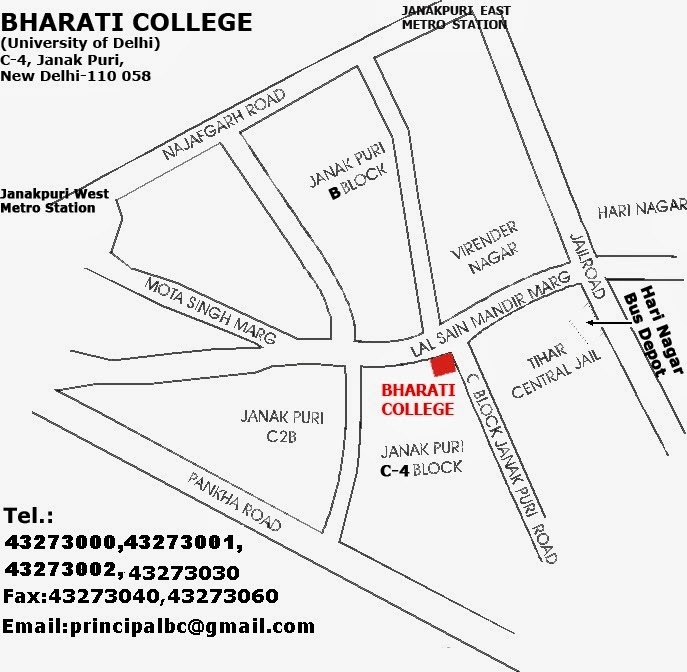 Bharati College, one of the top women’s college in West Delhi, is a constituent college of the University of Delhi and caters to about 2000 students, offering instruction in eleven disciplines in the Arts and Social Sciences. The Department of English is one of the oldest academic departments in the college, and offers a baccalaureate in Literatures in English as prescribed by the University. Along with English Studies, the Department has, over the past few decades, evolved a strong base in English Language Teaching, ELT, and has made significant contributions at the inter-college level to pedagogy on the same. All Department students are encouraged to join our Facebook group for better faculty-student interaction and engagement.